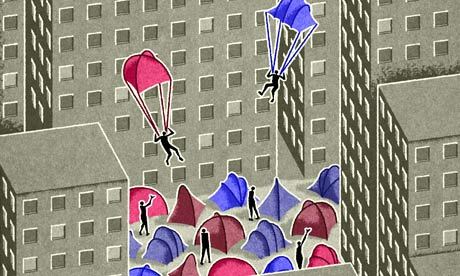 In 2011 tents took over the streets from Cairo to London, bringing ‘protest camps’ into popular conversation. Heightened by the speed of online networks, city occupations became a global media and protest phenomenon. Yet protest camps neither started nor ended with Tahrir Square and the global Occupy movement. From the Australian Aboriginal Tent Embassy, to the UK’s Greenham Common Women’s Peace Camp and Non-stop Picket, protest camps have a long, transnational history. Likewise, protest camps continue to pop-up today. In Turkey, Occupy Gezi made international headlines, while more locally, we saw a Mass Sleep Out against the Bedroom Tax and the start of a Balcombe Community Protection Camp against fracking. Whether in Istanbul or Sussex, protest camps are experimental acts requiring imagination, mapping and building. They traverse territories of outside and inside, turning how we live into a political question. They are sites for creative exploration; places where people imagine and invent alternative forms of living together. This interactive workshop invites you to engage with these experimental worlds through a series of discussions and activities. Led by research experts on protest camps and alternative politics, together we will explore how protest camps encourage new ways of living and relating as they bring people together around common goals.